Once you’ve led a few brainstorming sessions and become comfortable with the methodology, learning some advanced brainstorming techniques is the next step. The tools discussed on this page will keep your sessions from transforming into dull, dry, and unproductive sessions. Use them occasionally or frequently if you and your teams find them more fun. Or more productive! That’s really the key, productive sessions. Also known as brain writing, silent brainstorming can be used as an alternative idea creation tool within your teams. The rules and guidelines remain largely the same as in regular sessions. Begin with describing the problem at hand. Then inform your team how this concept works. Instead of each participant verbalizing their responses in turn, your team members write their responses on index cards (or something similar). One card is used per idea. Each team member generates as many ideas (and cards) as possible within an allotted time period. Five to 10 minutes is usually adequate for the first cycle. Team members then pass their written ideas to the right (or left… it really doesn’t matter which direction) and read the cards passed to them. 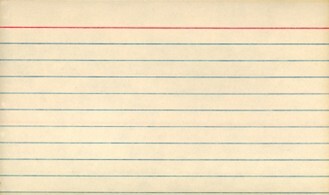 This should stimulate more ideas from each member, which they write down and add to the stack of cards they were passed. The session facilitator needs to determines the appropriate amount of time for each remaining cycle of the session. Factors to consider include the number of cards to be read in each cycle, team member experience, and number of new ideas created per cycle. Ten minutes per cycle is generally more than enough time. However, the facilitator must keep watch over the team members; some will finish before others and may disrupt the remaining team members. Don’t allow this to happen to your team! The cycles continue until the members receive the initial cards they created. The ideas are gathered by the facilitator and duplicate responses are removed. The team categorizes the remaining responses and determines the best solutions to the problem stated at the beginning of the session. Nominal Group Technique is similar in structure to Silent Brainstorming, but without the piggy-backing of ideas from the team members. NGT provides a shorter list of alternatives than other methods, but takes less time to complete. This tool is best used if you have a new team (or several new team members), the team cannot come to an agreement, or if the problem under consideration is controversial. The facilitator introduces the problem statement and ensures that all team members understand the problem. 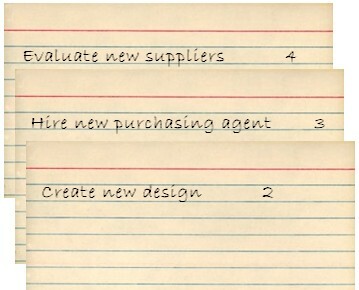 Team members write potential solutions to the problem on index cards, one solution per card. The cards are collected after each member has exhausted their individual ideas. The potential solutions are recorded on flip chart paper. Team members then discuss and/ or clarify these solutions. The team determines the better solutions that are worthy of continued consideration. Potential solutions may be removed from consideration, but only by the team member who offered the idea; members may never remove other member’s ideas. The new list of better solutions should be limited to no more than 50. Divide the number of remaining solutions by 5 (a general rule of thumb) and pass out that number of index cards to each team member. The members then rank order the ideas they feel are the best solutions to the problem (one per card, with higher scores meaning a better solution). Record the results. An example is shown below. The team discusses these results- which solution was selected most frequently? Which have the highest rank order scores? Once the team reaches agreement of the best potential solution, the NGT is complete and the team should move into development of an action plan to implement the solution. 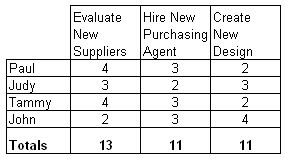 This example shows that the team favors a plan to evaluate new suppliers as their solution. It costs too much. It’s impossible. We’d need new equipment. It can’t be assembled that fast. The process is as good as it gets. Suppose your company creates multi-media presentations. Historical data shows that the time from customer order to delivery is 50 days. Your initial assumptions might be that your customer finds this acceptable or that it can’t be accomplished faster. Step one of this process is to list as many assumptions are your team can determine. Step two is to challenge the assumptions. Ask how the assumption could not be true. In this example, your team may ask “How can we create the presentations quicker?” Someone will offer a response (which ironically will be an assumption) and the team challenges this new assumption. Step three is where the work begins. 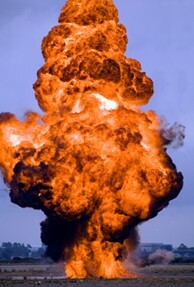 The team must develop practical solutions during the assumption busting process. Challenging assumptions is actually a fun team exercise, but the concept here is to create solutions to the problem at hand that can be implemented. The team in this example has now moved from the assumption that the creation process is as good as it gets to the development of a viable alternative. They take this solution and begin to develop an action plan to make this solution a reality.